In almost four years, I’ve never had to cancel on the day of a shoot because I was sick. So you can imagine how badly I was freaking out on Thursday night and Friday when I came down with a tummy bug and spent 30-something hours feeling like I was hit by a train and praying I didn’t have to cancel on not just one family but TWELVE beautiful moms. Thankfully on Saturday morning I felt mostly human, popped some Tylenol, and headed to these mini sessions. I’m so grateful that these moms were understanding that I’m not some weirdo germaphobe that keeps everyone out of arm’s reach but that I was trying my hardest not to spread any ickies that managed to stick around. I approached Jenny, the leader for the local chapter of the LLL, about doing mini nursing sessions for World Breastfeeding Week and as a fundraiser. We decided for a small donation, I would photograph mothers and their children breastfeeding so all of these moms could have something beautiful to remember this time. (I have some wonderfully awful cell phone pictures of nursing my children. I wish I would have tried getting professional-looking ones). We ended up raising $110 that’s going to update their books on medicines nursing mothers can take without harming their supply or child. Thank you to all these beautiful mothers and their equally beautiful children for coming out and showing support for the La Leche League and nursing. I think we even managed to do some “nursing in public” shots since we had a few spectators that were wondering what we were up to. Please leave these awesome nursing mommies some love on the blog! And give a shout out to your local LLL if they have ever helped you. 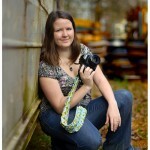 Katie Smith is an on location photographer serving Pittsboro, Chapel Hill, and Apex NC. She loves working with organizations like La Leche League because they are close to her heart. She supports breastfeeding 100% and proudly nursed her sons until they were 1.5 years old. These pictures are BEAUTIFUL!! What a fantastic idea all the way around! Great job Katie! You captured beautiful moments. Makes me miss nursing my 2 little ones.